Henvey Inlet First Nation (HIFN) is an example of a First Nation that has joined the land management regime under the FNLMA and developed its own land code. HIFN, an Anishinabek community in Ontario comprised of three separate reserve properties, ratified a land code under the Framework Agreement in 2009.6 The HIFN land code gives HIFN control over land administration and interests and licenses on its reserve land. In addition, HIFN's land code grants the band authority to issue Environmental Assessment Permits. In 2010, Encanto Potash Corporation (Encanto) formed a formal Joint Venture Agreement� with the Muskowekwan First Nations and Muskowekwan Resources Limited Partnership,10 the purpose of which is to progressively develop plans to establish a potash resource on the Muskowekwan First Nations' land. Encanto agreed to construct and operate the project. MRL will receive shares as well as royalty payments upon production, while the Muskowekwan First Nations will receive milestone payments. Encanto is currently exploring partnerships to advance the financing and development of the Muskowekwan project. The Solar Project is currently in the AUC review process. In a May 9, 2018 information request letter, the AUC asked the Partnership to clarify any federal approvals the Solar Project may need and specifically address if "..the lands upon which the project is to be sited have been designated for development under the Indian Act and the Indian Referendum Regulations. "12� In the event the lands are not, the Partnership was asked to "...describe the status of this approval and explain when Chiniki expects to receive land designation." The Partnership responded to the AUC on May 28, 2018 stating that "[i]n regards to federal approvals, [the Partnership is] unaware of any specific approvals required by the Project at this time based on [its] discussions with [its] advisors and the corresponding federal entities." The Partnership further stated that the land that the Solar Project is sited to be on requires a properly approved Band Council Resolution in order for the Solar Project to proceed, per consultation with the Chiniki First Nation and subject to third party financing requirements.13 The final federal requirements for the Solar Project will be of interest to renewable energy developers. The above projects demonstrate that there are unique challenges and solutions in relation to the development of resource projects on reserve. In many resource�rich areas, reserve lands may be an untapped opportunity for project development in partnership with First Nations. The legal tools used depend on the needs of the project, First Nation, and proponent. A land code under the FNLMA grants a First Nation broad powers over their reserve lands in perpetuity. However, these powers cannot apply to resources such as oil and gas and fisheries. In addition, the FNLMA land code process can take many years to put in place and is driven entirely by the First Nation. FNCIDA regulations provide the most robust regime for resource development, given that regulations on and off reserve would be consistent. 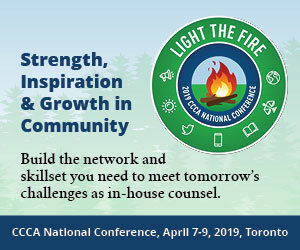 In our experience FNCIDA regulations take years to develop and require significant collaboration between Federal and Provincial governments and the First Nation. Finally, proponents and First Nations may attempt to obtain approvals by applying under provincial laws applicable to off-reserve projects. The Solar Project demonstrates that provincial regulators will seek clarification from the proponent� regarding applicable federal requirements. 11 Chiniki Trico Limited Partnership, "AUC Rule 007 Facility Application for the Chiniki Nation Solar Project (March 13, 2018). 12 Alberta Utilities Commission, "Letter regarding Chiniki Nation Solar Project Response to Information Request Date May 9, 2018" (May 28, 2018). 13 Alberta Utilities Commission, "Letter to Chiniki Trico Limited Partnership"